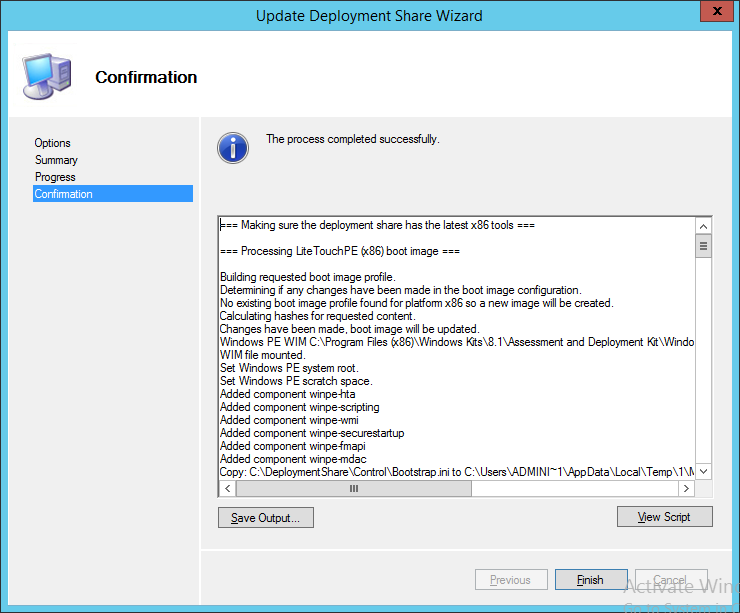 In our last post we finished creating the Boot Media to use when building and capturing a Windows image. Now we are going to create use the Boot Media and (finally) build and capture a Windows image. 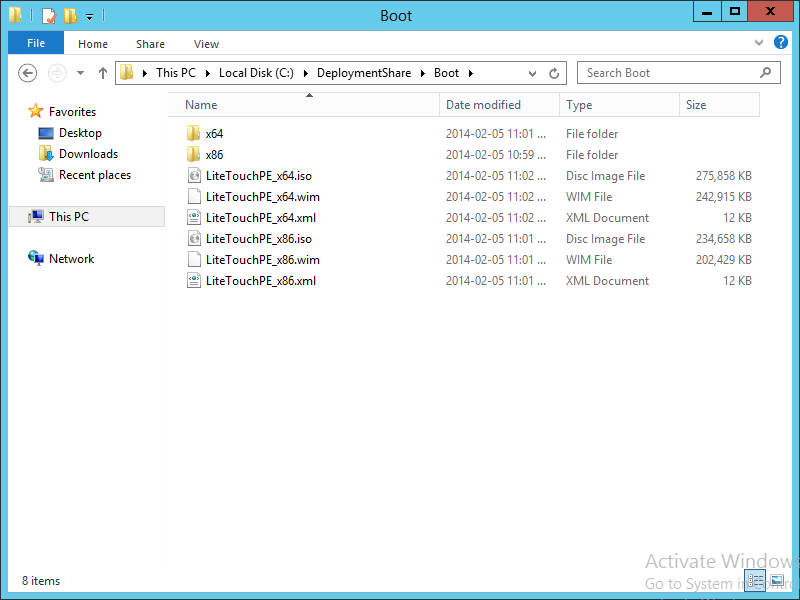 Take the Boot Image that we created (found in \Boot). We are going to use the “LiteTouchPE_x86.iso” because the x86 media is more widely compatible (not everything is compatible with x64). 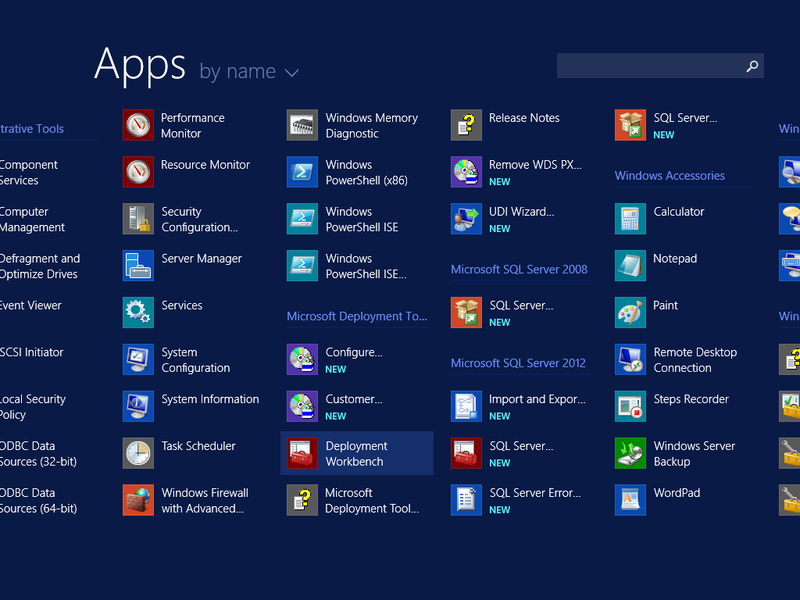 We are going to use a Virtual Machine (VM) for the reference system. 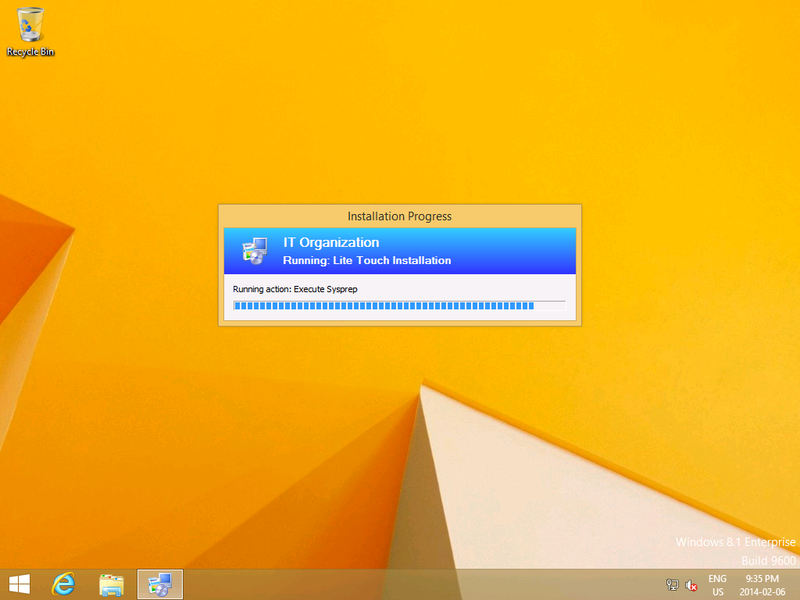 Start by mounting the ISO to a blank Virtual Machine, then start the Virtual Machine. You will be presented with the following prompt. 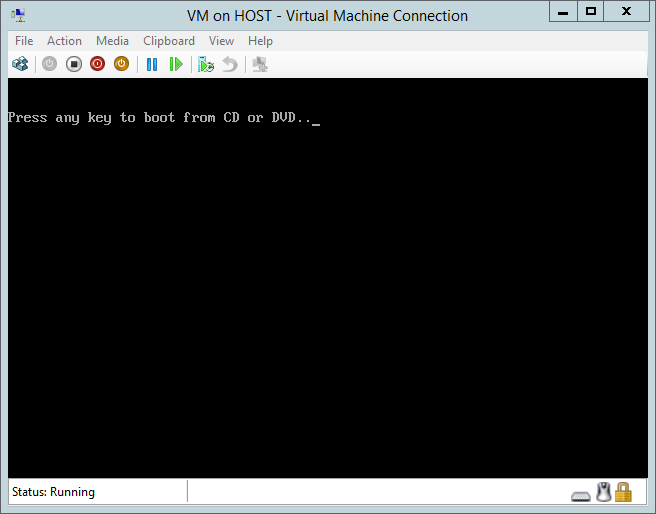 Press any key so the Virtual Machine (VM) will boot from the Boot Media. 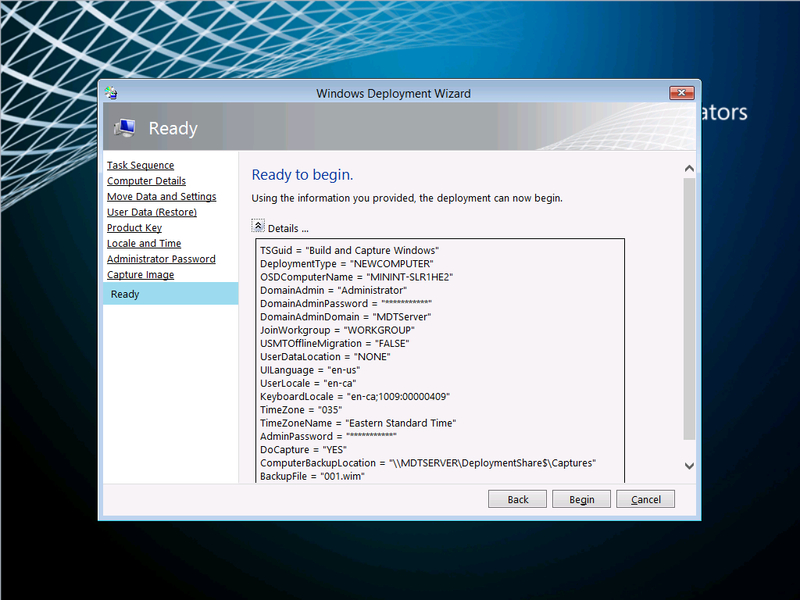 Eventually, though it may take a while depending on your network, the Microsoft Deployment Toolkit wizard will appear. 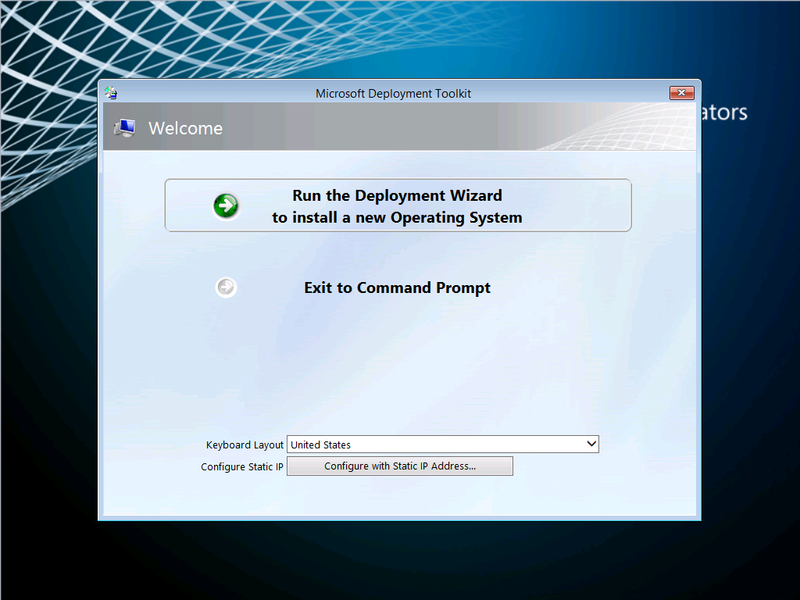 When it does, click on the “Run the Deployment Wizard to install a new Operating System” option. You will be presented with a dialog for User Credentials. 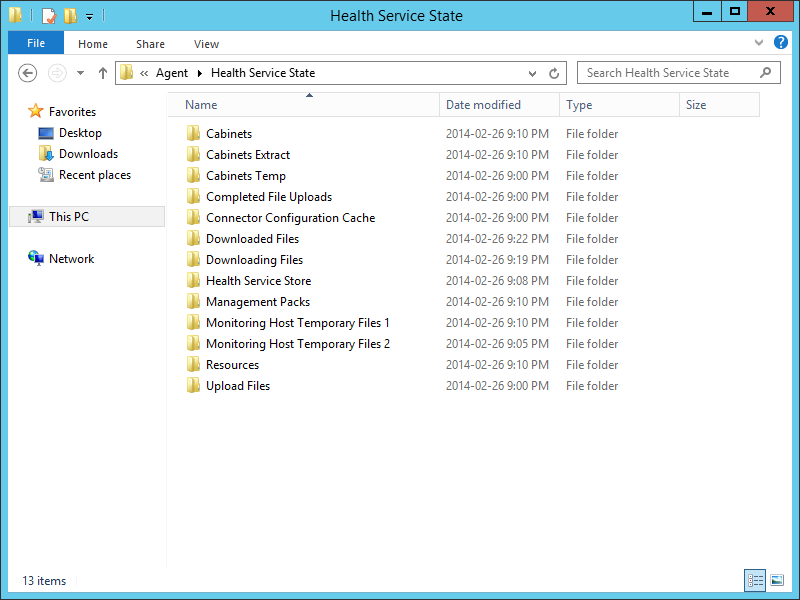 These credentials must be able to access the MDT server, as this is where the image file will be captured to. 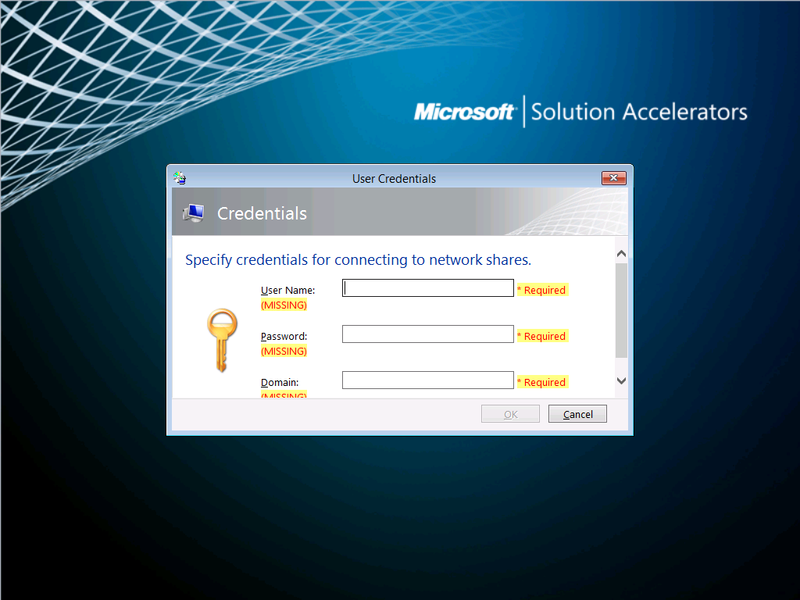 Supply the credentials and then click OK. 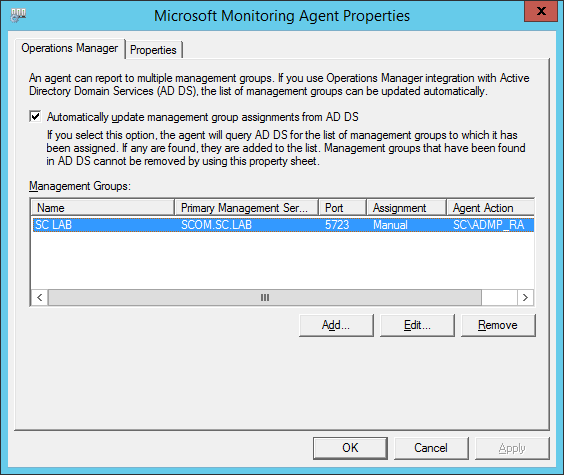 NOTE: If you MDT Server is in a domain, you can use domain credentials, but what if it isn’t? 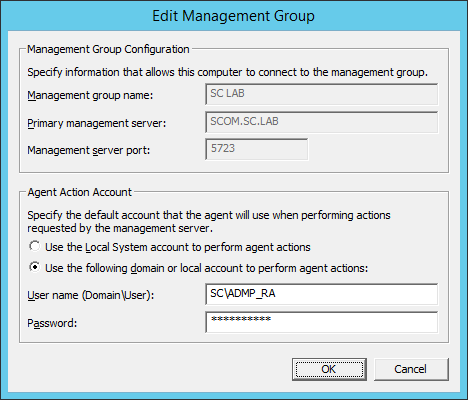 What if your MDT server is in a Workgroup (like mine is)? In that case, in the “Domain” field, you would just use the server’s name. 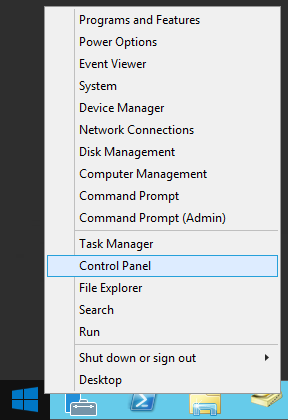 On the Task Sequence screen, choose the appropriate task sequence to run, then click Next. In our case, this is the Task Sequence we created (see Working With The Microsoft Deployment Toolkit (MDT) 2013 – Part 5: Create A Task Sequence). 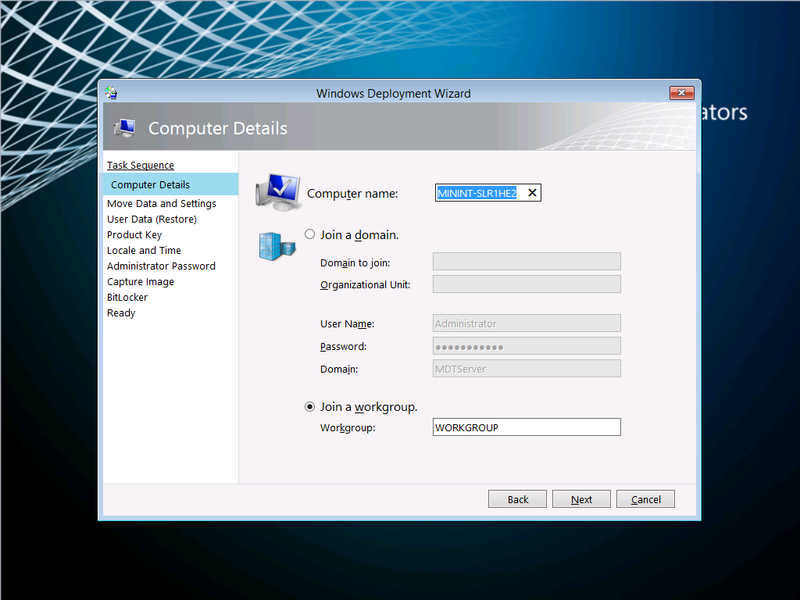 On the Computer Details screen, you can provide a Computer Name (though it is not required) but do NOT choose “Join a domain”; just accept the default of “Join a workgroup“, and then click Next. 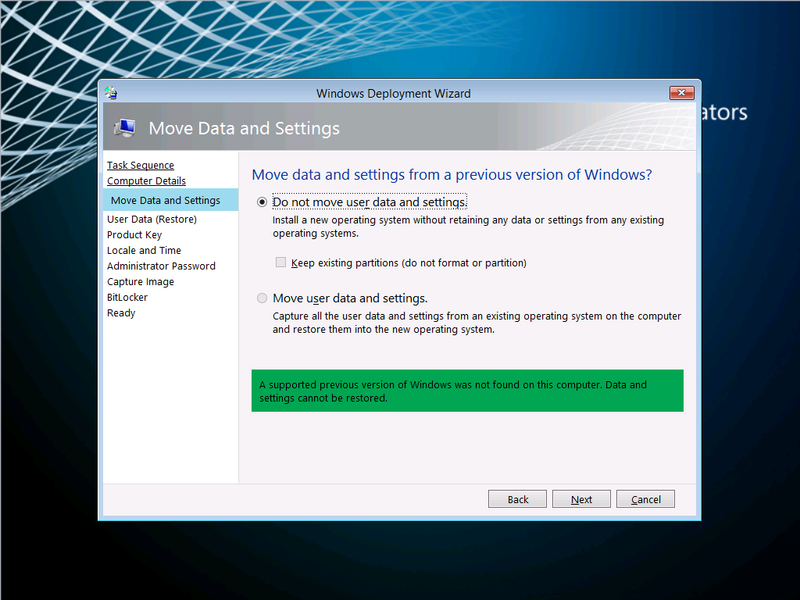 On the Move Data and Settings screen, since we are not migrating any user’s data, choose the “Do no move user data and settings” option, and then click Next. 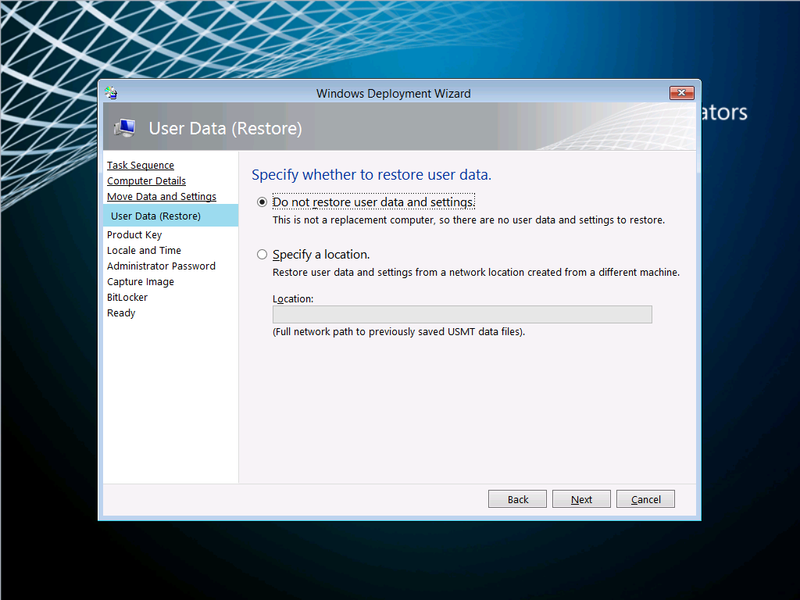 On the User Data (Restore) screen, again since we are not migrating users, choose the “Do not restore user data and settings“, and then click Next. On the Locale and Time screen, make the appropriate adjustments required, and then click Next. 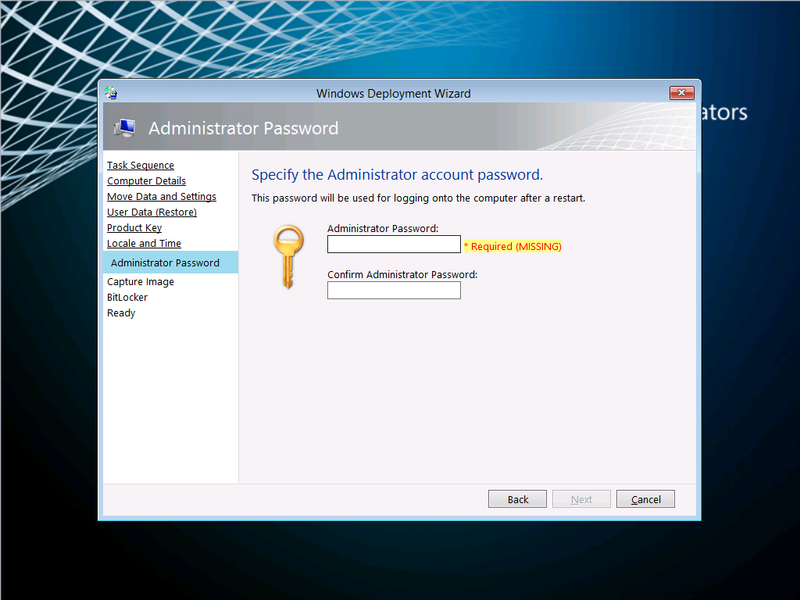 On the Administrator Password screen, provide a password for the LOCAL Administrator account, then click Next. IMPORTANT: I need to emphasize that this is for the LOCAL Administrator account. This is the local non-domain account. 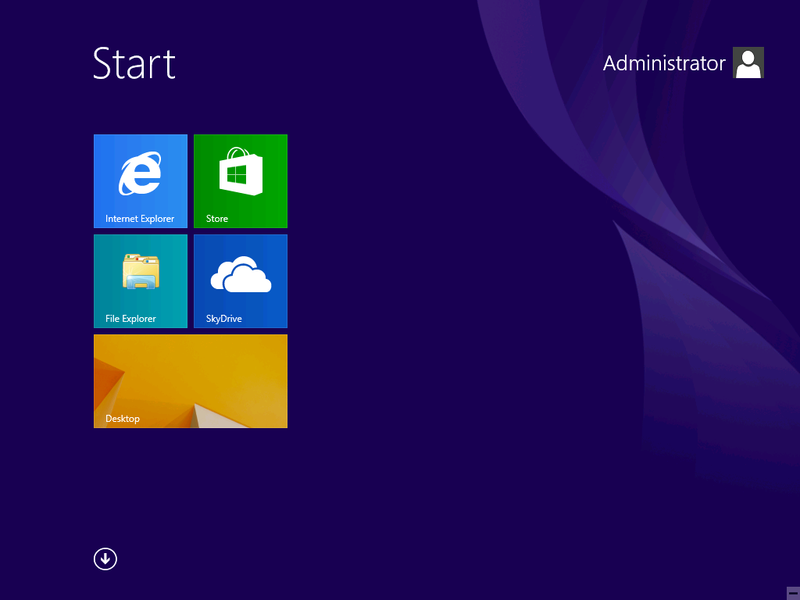 This means that if you are using this image in a domain environment, and the system looses its trust with the domain, your IT department can use this local account to log into the system and re-join/re-add it to the domain. 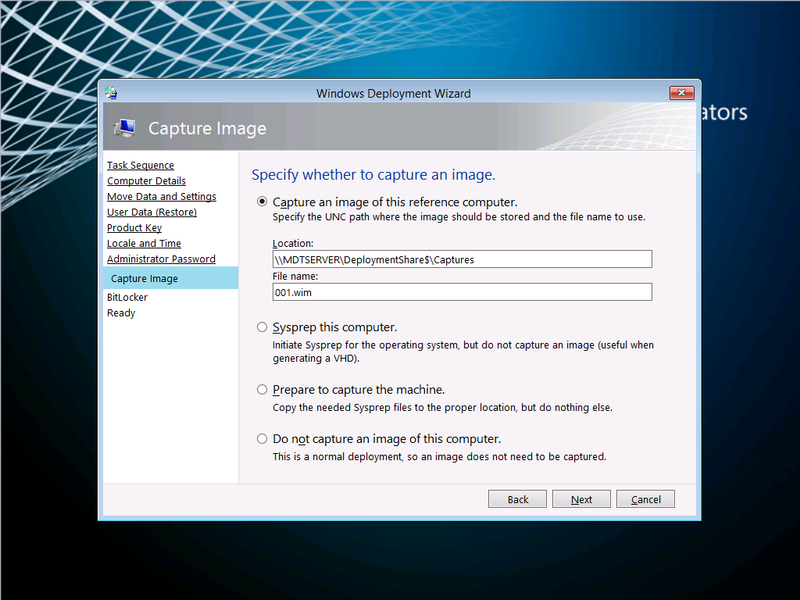 On the Capture Image screen, choose the “Capture and image of this reference computer“, give the file a unique name, and then click Next. On the Ready screen, review the information displayed, and then click Begin. 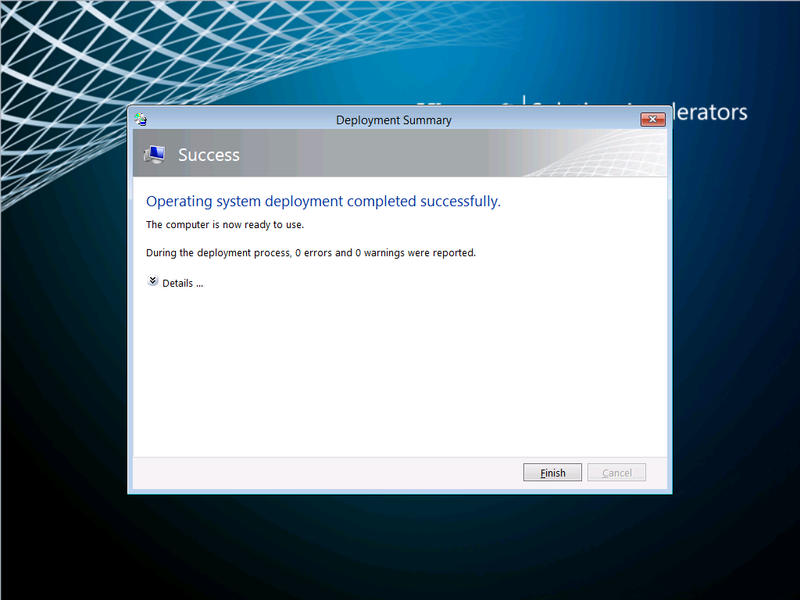 The process will begin by installing the Operating System we specified in our Task Sequence. Time to sit back and watch. Eventually the Operating System will be installed. 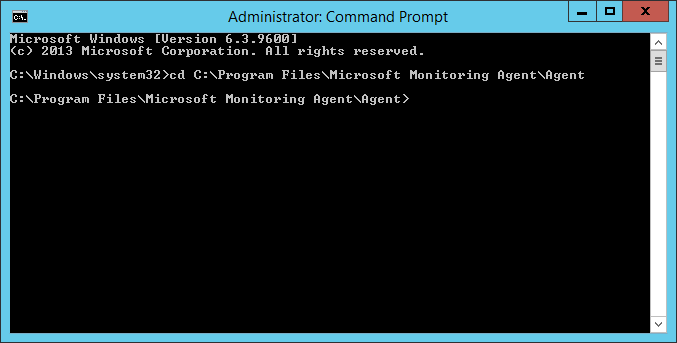 However, it may look like nothing else is happening (at least in reference to capturing Windows 8). Navigate to the Desktop. 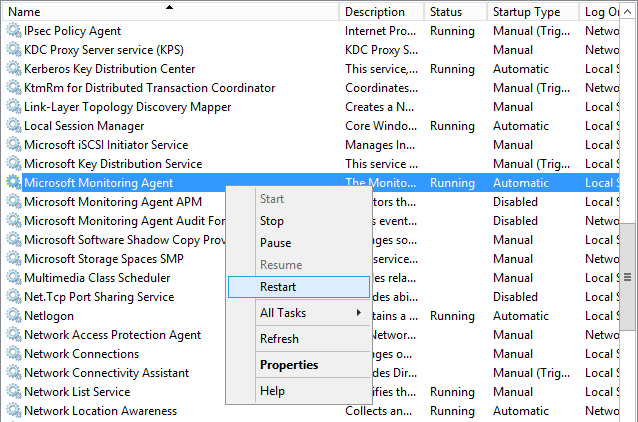 On the Desktop you will see that the Task Sequence is continuing, and installing the Application (in this example Microsoft Office) we specified. Once all the steps in the Task Sequence have completed, the final capturing piece will initiate. 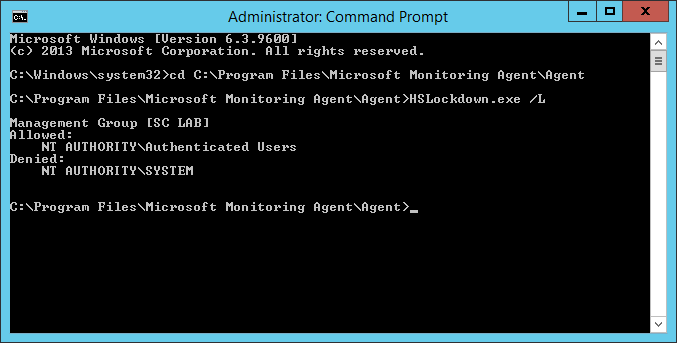 This starts with SysPrep being executed on the reference system. 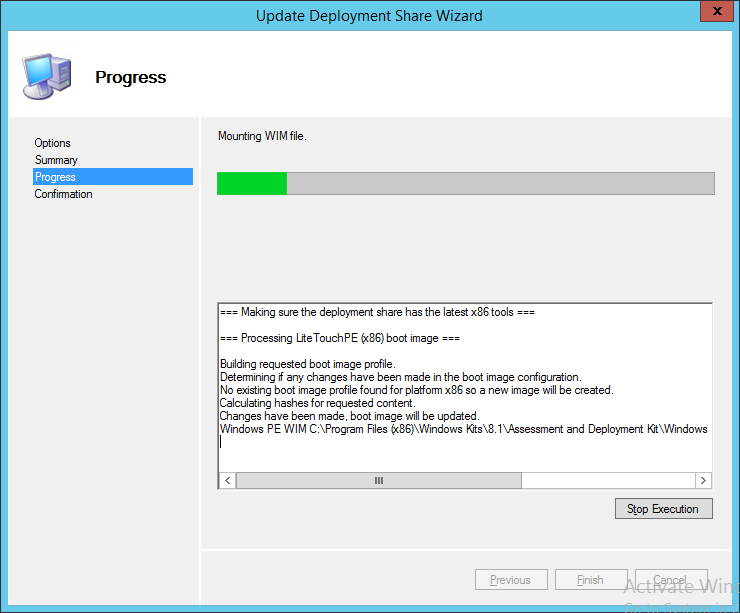 Eventually the process will get to the point where it shows “Create WIM”. This may take a while depending on your hardware/network, but will eventually result in the captured image. Once the capture has completed, click Finish. 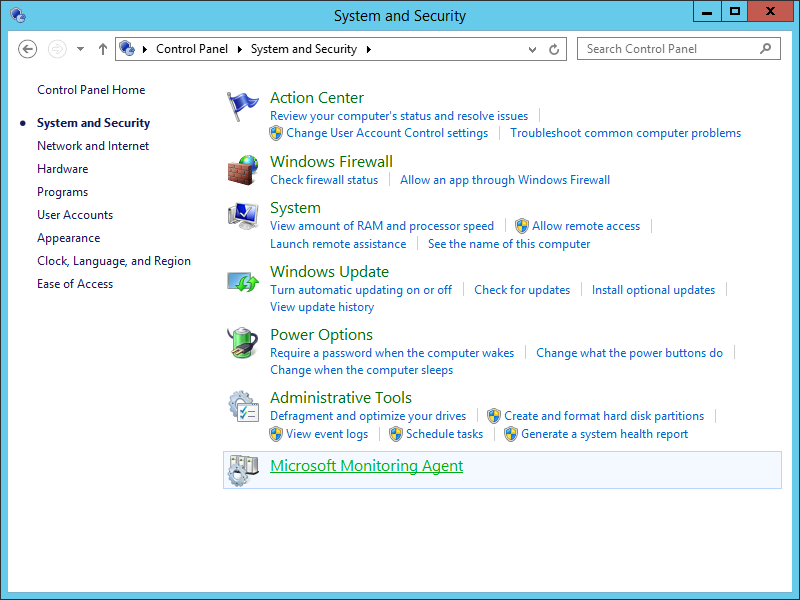 NOTE: The Virtual Machine (VM) will automatically restart. We are done our work with it, so you can shut it off. 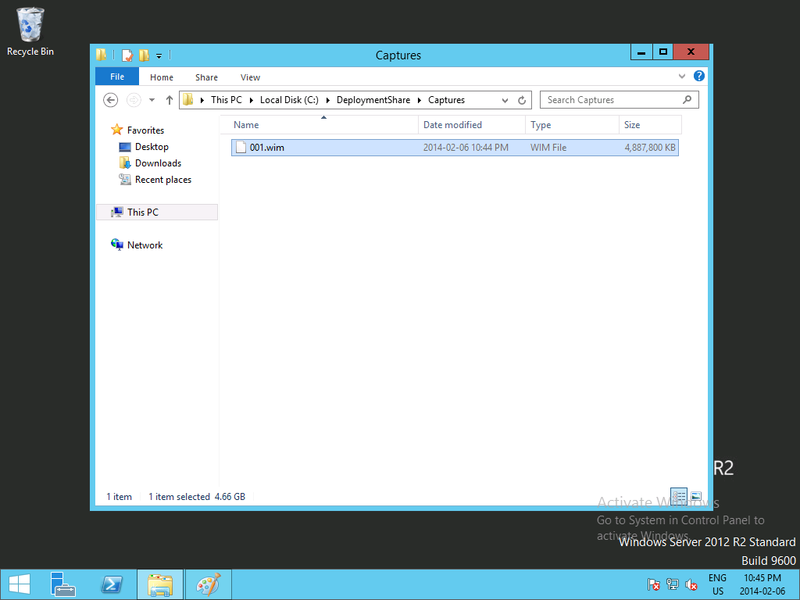 Back on the MDT Server, navigate to \Captures. In that directory you will now see your captured .WIM file with the name we supplied in the wizard. 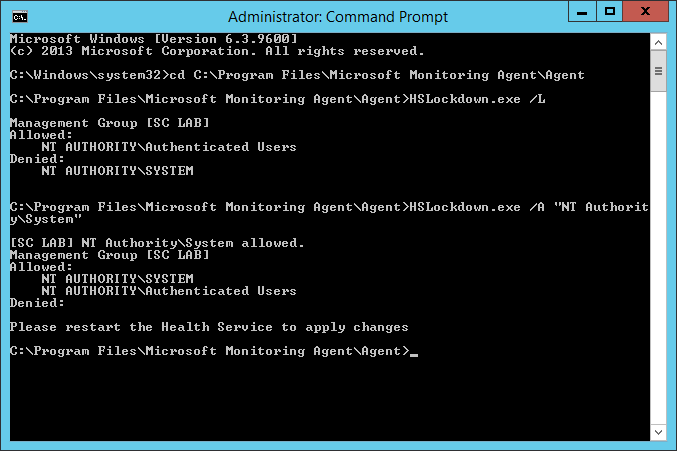 Now that we have captured image in a .WIM file, you can use it with your Operating System Deployment tool(s)/process. 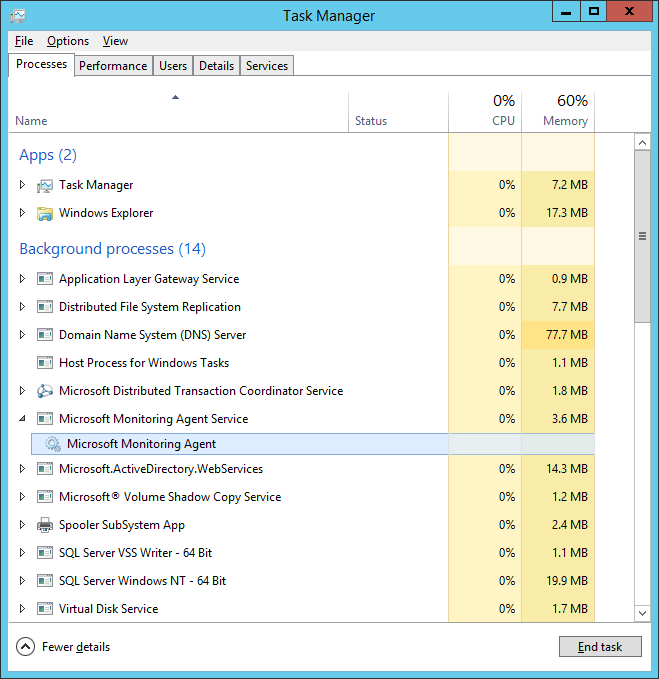 In our last post we created a Task Sequence to build and capture a Windows image. Now we are going to create the Boot Media that will be used to build and capture a Windows image. 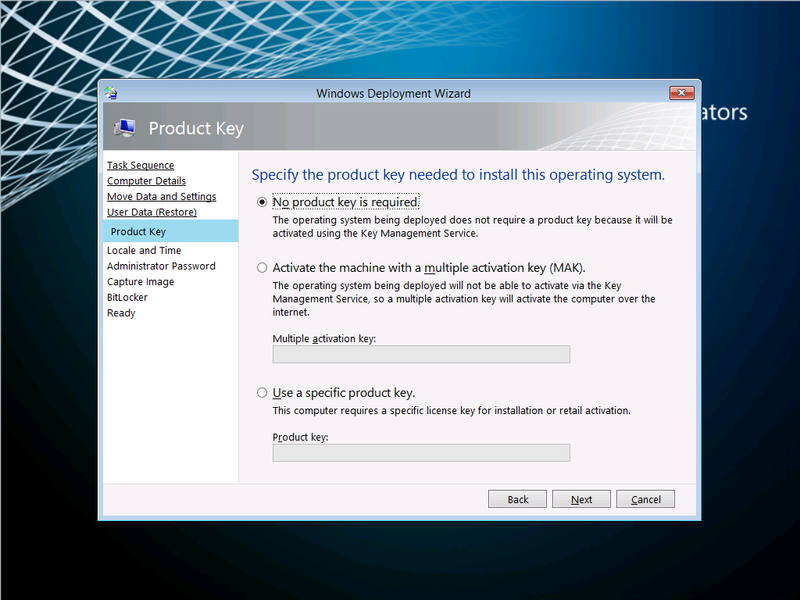 We are going to create Boot Media to demonstrate using the Microsoft Deployment Toolkit (MDT) to build and capture a reference system. 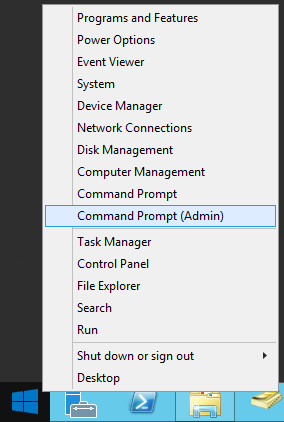 An alternative to using the boot media is to use Preboot Execution Environment (PXE) booting, but that requires having a Windows Deployment Services (WDS) server setup and configured, along with a Dynamic Host Configuration Protocol (DHCP) server. I may document how to do this later, but for now, we’re going to use Boot Media. 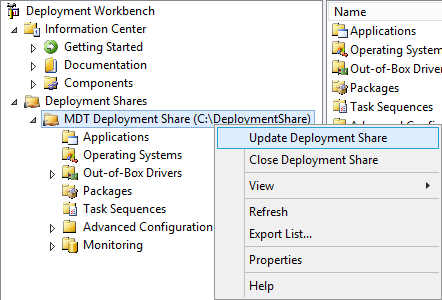 Expand the Deployment Share that was created, and right-click on the Deployment Share folder and choose Update Deployment Share. 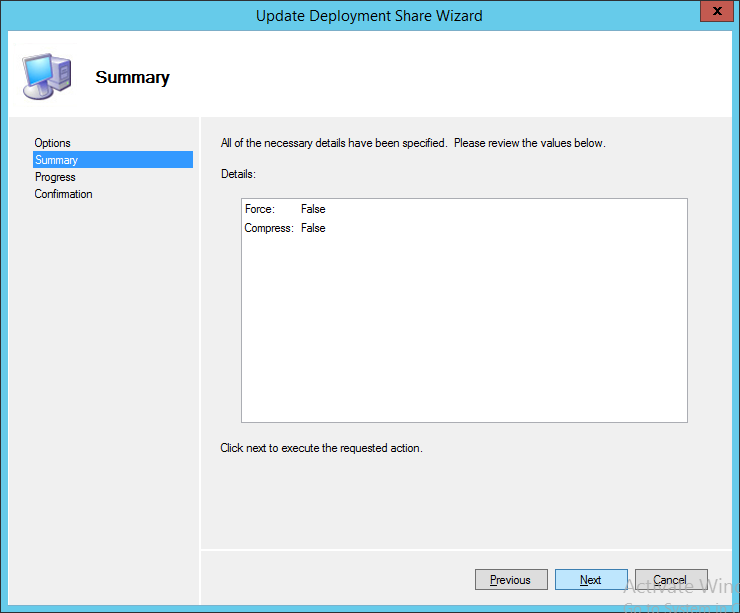 This will initiate the Update Deployment Share Wizard. 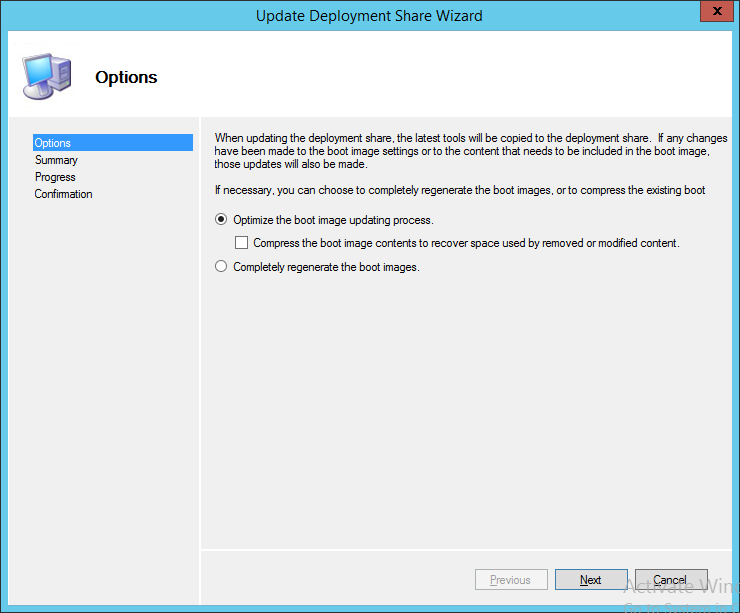 On the Options screen, choose “Optimize the boot image updating process” option, and then click Next. The Progress screen will display information on each step it is performing. Please note that this may take some time to complete, so be patient. 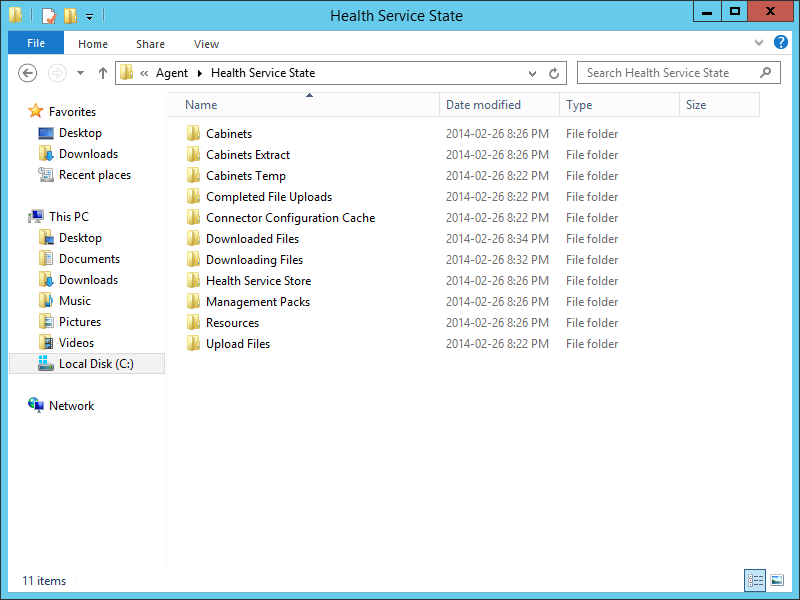 Now if you navigate to your Deployment Share directory, you will see a directory labelled Boot. 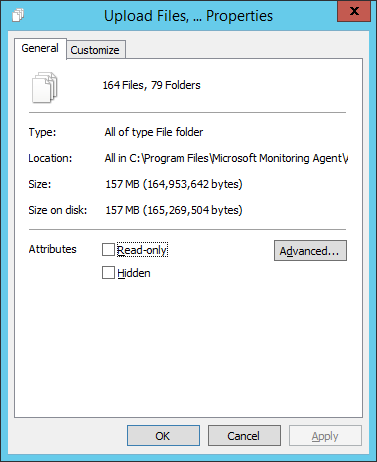 Within there you will see the Boot Images created, labelled “LiteTouchPE_x86.iso” and “LiteTouchPE_x64.iso”. You now have the Boot Images created, and we can use them to build and capture a reference system.